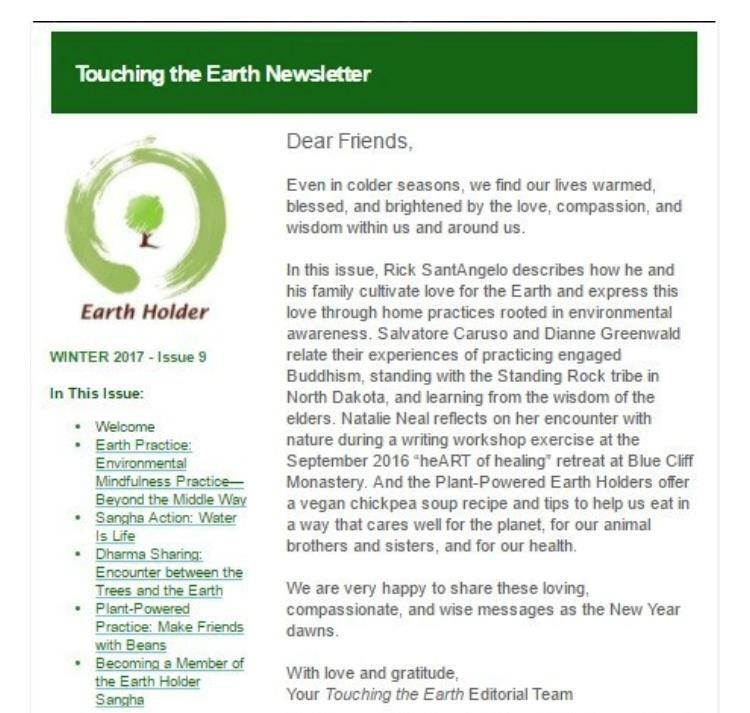 Touching the Earth is the Earth Holder Community’s online newsletter published each quarter. 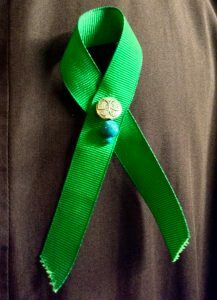 It’s put together by an editorial team of Order of Interbeing members (monastic and lay) and it’s an important voice of the Earth Holder Community. Each newsletter offers: a Dharma sharing, stories of personal Earth Holding practice, delightful and easy recipes and suggestions from our Plant-Powered Earth Holders, and a Sangha activity/Earth Action. Click the “Let’s Talk” button below to subscribe to the newsletter and get the next installment of stories and insights in your inbox. We would love to feature your writing. Articles up to 800 words in length are welcome, and the editors would be particularly pleased to include more international stories as well. If you have something to offer in the way of a Dharma sharing, a personal Earth practice or the story of a sangha action, please contact Nomi Green at nomipgreen [at] gmail [dot] com.